Steve and his father had planted some ungrafted Cabernet in their new vineyard. When Nelson Shaulis, the eminent professor of viticulture at Cornell (who developed the Geneva Double-Curtain trellis system used worldwide today), visited to see what was going in the vineyards of Eastern Long Island and when he saw the vines, he argued that own-rooted Cabernet Sauvignon could not survive more than a few years. (Dr. Shaulis, long an advocate of French-American hybrids and hybridizer of Cornell varieties, had long ago turned a blind eye to vinifera, due in part perhaps to his deep antipathy to Konstantin Frank–who had aggressively advocated for vinifera–and to rip out hybrids.) After 3 years he came back and saw that the same vines were still doing well. He announced that within a few years they’d be gone. Several years later he paid another visit and was astonished to see that the vines were still productive and healthy. He was so impressed that he decided to take a root cutting back to Cornell to see what there was about it that made it so resistant to Phylloxera—it took him three hours to surgically remove a complete vine. 39 years later the same own-rooted vines are alive and well; sadly, however, Dr. Shaulis is no longer with us to bear witness to it. The vineyard also has the oldest Merlot vines on the Island, planted over 40 years ago. 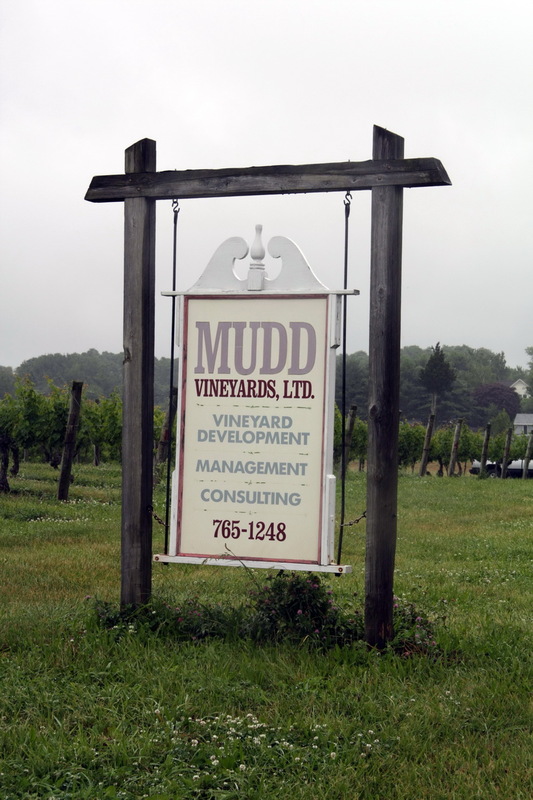 Today, Mudd Vineyards, the business started by David Mudd 42 years ago and now run by his son, Steven, is the leading vineyard management and services company on Long Island and one of the most in demand on the East Coast. Mudd has since been involved in planting more than 1,500 acres of vineyards (nearly half) in the East End—including Palmer Vineyards and what is now Pellegrini Vineyards—which amounts to almost half of all the vines in Long Island. Today the business continues to manage numerous farms and sells grapes from its own vineyard to wineries that either have no vineyard of their own, or that use designated parcels of the Mudd vineyards, such as is the case with Channing Daughters, which produces s everal wines that are identified as coming from Mudd or Mudd West vineyards. (The Channing Daughters website states that “The soil in the Mudd Vineyard is mostly Haven Loam with some portions being Riverhead Sandy Loam,” with “some of the oldest Sauvignon Blanc vines on Long Island which were planted in 1975,” while “The Mudd West Vineyard is in Hallockville (Aquebogue) and is a warm, dry site. The soil is predominately Riverhead Sandy Loam. The Mudd West Vineyard was planted in 2005 making the vines 7 years old.”) The wines, such as the 2007 Mudd illustrated here, are in homage to David Mudd, who was Larry Perrine’s (Channing Daughters’ CEO) first employer in Long Island and who helped expand and plant the Channing Daughters vineyard. Over the years the Mudds acquired more land and now have a 50-acre vineyard, the grapes of which are sold to other wineries. They make no wine of their own. David Mudd once said in an interview that “Wine-making is laboratory work and that’s not for me.” The same is true of Steve, but it doesn’t mean that he doesn’t understand winemaking, and he certainly understands the importance of delivering quality fruit to a winery. Vineyard worker psychology as affected by the nature of the work expected or demanded, such as reduced performance due to boredom from repeating the same work over and over again. Vineyard row length should be no more than 600’ to 800’—longer rows result in lost time when workers are called in for breaks or reassignment to other locations. Row widths should be adequate to allow for drying of grapes from morning dew—he recommended 10’ width with vines at 6’ (10’ x 6’ = 726 vines per acre). Greater densities increase costs per acre. To encourage Agricultural Land Preservation a special sales transfer tax could be used to fund the purchase of land to be preserved. Use clean pruning to keep dead cordon spurs from becoming harbors for vine infections and disease. Growers should not push the vines too hard, so balanced pruning is essential to the plants’ health—by neither under- or over-pruning. Vine trunks should be as straight as possible to reduce damage to them by tractors and equipment. Water-retention capabilities of the soil can be enhanced by the addition of organic matter and irrigation when needed is encouraged. To reduce wire tension problems in the rows, Vertical Shoot Positioning (VSP), as used in Long Island, is recommended. This results in a band of fruit that leads to better sun exposure, spray coverage, and easier harvesting. 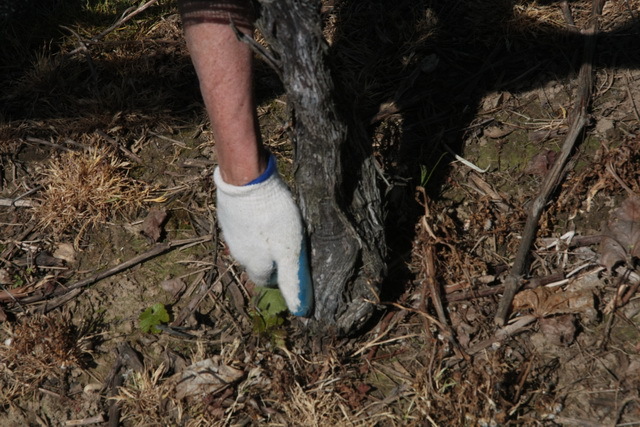 Leaf-pulling by hand should be done around the fruit zone to improve exposure to the sun. The sun’s arc flattens after August 15. 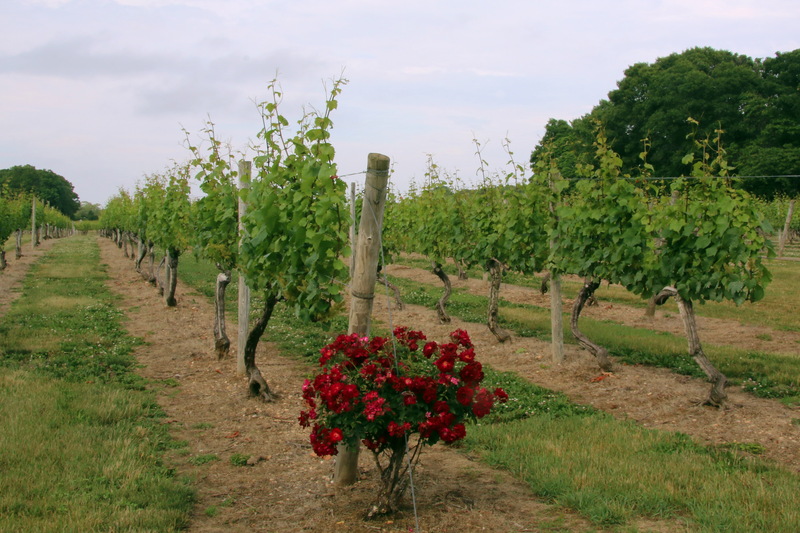 Steve likes to refer to the process of green harvesting as “Fussy Viticulture”—that was the topic of Steve’s talk in Maryland and is now the general practice in Long Island (among many other wine-growing regions). Plus a touch of viticultural history: In 1982 it was discovered that vines identified as Pinot Chardonnay were actually Pinot Blanc, but it took a few years for the newly-planted vines to produce fully-developed leaves, which allowed Lucy Morton—a viticulturalist who translated Pierre Galet’s book, A Practical Ampelography: Grapevine Identification, from French to English—to correctly identify the vines as Pinot Blanc by the shape of the vine leaves. (Incidentally, what was called Pinot Chardonnay—on the assumption that Chardonnay is a member of the Pinot family—is now called just Chardonnay. Today Mudd Vineyards produces about 100 tons of grapes from its 50 acres of vines–a mere 2 tons an acre, proof of rigorous “fussy viticulture.” The quality of the fruit is therefore very high, and Mudd supplies its fruit not only to wineries on the East End such as Channing Daughters and Raphael, but also as far away as New Paltz, NY, in the Hudson Valley (Robibero Winery) and even Arrowhead Spring in the Niagara Escarpment AVA. Long Island with its three AVAs may be one of the newest important wine regions in the United States, but over a period of nearly forty years its vine growers have learned much about growing vinifera grapes in challenging terroir, and people like Steve Mudd and others from there clearly have a great deal of knowledge and expertise to share and impart to others. Perhaps the most important thing to bear in mind is how such a young region has gained so much respect in so brief a time. It is people like Steve and his late father Dave, and the other vineyard managers, the winemakers, and the wines themselves that speak of a major, if small, region that produces premium wines. Quality fruit is where it all begins. It does not encourage visitors as it only sells fruit to the wine industry. This entry was posted in Vineyards, Viticulture and tagged ampelography, aquebogue, Channing Daughters Winery, Chateau Margaux, David Mudd, East End of Long Island, fussy viticulture, Geneva Double-Curtain, grape dehydration, green harvesting, Hallockville, Hargrave Vineyard, Larry Perrine, Long Island Vineyards, Lucy Morton, Mudd Vineyard Management Company, Mudd Vineyards, Mudd VMC, Mudd West, Nelson Shaulis, North Fork AVA, Palmer Estate, Paul Pontallier, Pellegrini Vineyard, Pinot Chardonnay, Raphael Winery, ripe rot, Riverhead Sandy Loam, Southold, Steve Mudd, Sustainable Viticulture, Umbrella Kniffin trellis, Upper Shore Regional Council Maryland, Vertical Shoot Positioning, Vineyard Owner's Handbook, Vineyard terroir, viticultural service, VSP on 18 September 2012 by JoseM-L.
Louisa Thomas Hargrave is the doyenne of the Long Island wine business, having established the very first wine vineyard, Hargrave Vineyard, in 1973 with her (then) husband, Alex Hargrave. They were true pioneers, determined to plant vinifera grapes where they had never successfully grown before, even in the face of well-meant advice against taking on such a risky venture. Neither of them had ever farmed until they planted the vineyard. At the time she was a recent college graduate, having gone to Harvard, earning her BA in Government at Smith, and thence to Simmons College to earn a MAT (Masters of Arts in Teaching). But she and Alex had caught the wine bug, and became seriously interested in starting a vineyard and winery of their own, with the idea of producing quality wine from V. vinifera grapes in the styles of Bordeaux and Burgundy. Consequently, Louisa next went to the University of Rochester to study Calculus and Chemistry, and further studied the latter at Stony Brook University with the idea that she could apply what she had learned to the making of wine. 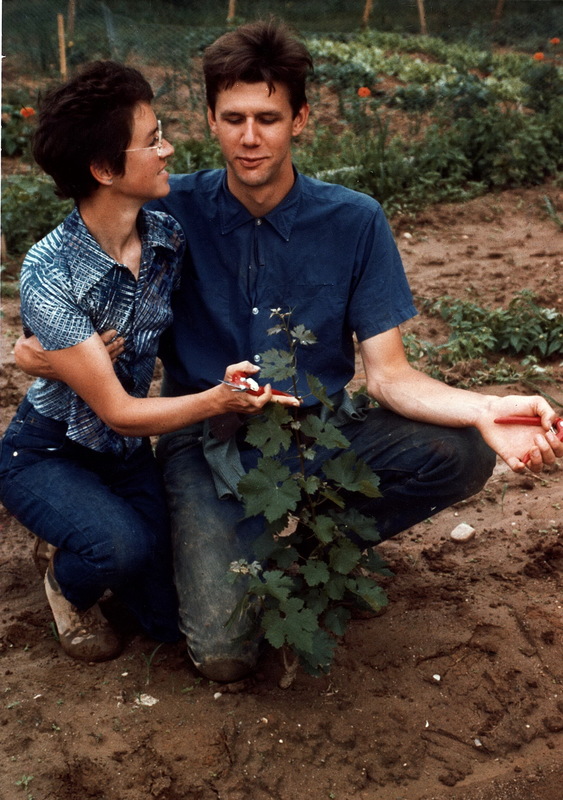 After planting vines of Cabernet Sauvignon, Pinot Noir, and Sauvignon Blanc in the original 17-acre field of the old potato farm that had become Hargrave Vineyard, Louisa went to the Cornell Cooperative Extension program to earn a Certificate in Land Use Planning in 1974, an ongoing interest of hers as Suffolk County and New York State developed new laws and regulations that had an impact on her ability to farm. By 1998 Louisa had been awarded a Doctor of Science, honoris causa, from Dowling College, in recognition of her contributions to viticulture in Long Island. 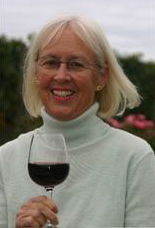 Between the very solid academic credentials that Louisa has earned over the years and the deep and long experience of establishing and maintaining a vineyard for twenty-six years, as well as making wine and running a successful winery, Louisa has perhaps the most sound credentials of anyone in the Long Island wine world. Furthermore, after selling Hargrave Vineyard in 1999, when she and her husband agreed to separate, she went on to establish Winewise LLC, a consulting firm for the wine industry. She was director of the Stony Brook University Center for Wine, Food, and Culture from 2004 to 2009, and is continuing to work as a writer on the subject of wine, viticulture, and winemaking for various publications, including her own blog, www.vinglorious.com. Given those credentials and that experience, I cannot think of a better-qualified person to speak to about some of the issues bearing on the viniculture of Long Island. To meet Louisa is to encounter someone who is direct, forthcoming, very well-informed, and definitely opinionated. She is petite, bespectacled, and wears her silver hair long. She has no pretensions or airs, but she does not suffer fools. Given her high profile in Long Island, she frequently has requests from schoolchildren or their parents for an interview so that they can write a paper for school. Her response is simple: “When you’ve read my book, The Vineyard, get back to me and we can talk.” So far there have been no takers. Fortunately for me, I had read The Vineyard, so that made getting my interview with Louisa that much easier. 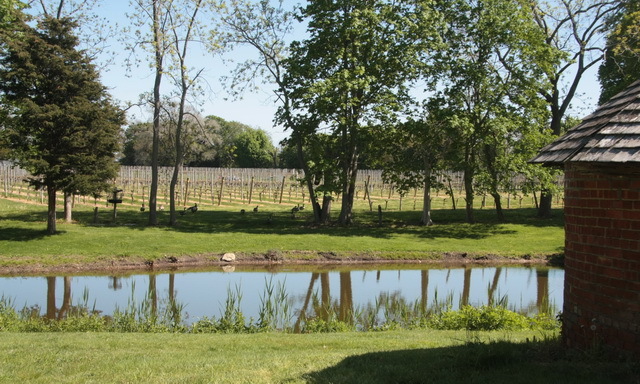 Louisa initiated the conversation by making the point that there are two types of wineries in Long Island: those that cater to the tourist trade and those that focus on making quality wines. (Several do both, but most emphasize one or the other). Of the top quality wineries, she cited Bedell Cellars, Channing Daughters, Lenz Winery, Paumanok Vineyards, and Peconic Bay Vineyards. Given that all of the Long Island wineries depend on retail sales for a major part of their income and nearly all have tasting rooms for the wine tourists who are a significant part of their business, I inferred from what she said that some of these wineries seek to attract tourists and tourist groups with large tasting rooms, provide access for buses, and offer space for parties, weddings, and so on. While some of these are serious about their wines, such as McCall, The Old Field Vineyards, and Pellegrini, a handful is really focused on the tourist trade, perhaps to the detriment of the wines they make—good enough for the tourists, but certainly not world-class. One way to judge a winery is by looking at their containers—the smaller the container, such as an oak cask (typically of 225 liters, the size of Bordeaux casks) the more serious is the winemaking, as it costs more time and work to manage. Large containers tend to be used for large-scale production and do not allow for the blending of batches for refining the way the wine tastes and smells the way that small ones do. She also made clear that there is a fundamental difference between vineyards that seek to grow the highest quality fruit possible by practicing ‘green harvesting,’ which means removing bunches of fruit in the middle of the growing season—sometimes as much as third to a half of the developing crop, in order to improve the quality of the fruit that remains. The result, of course, is a smaller crop, but wines made from such fruit will be richer, more flavorful, more interesting. This will not be true of vineyards that primarily grow and sell their wine grapes to wineries. These vineyards seek to maximize their grape production, as they sell grapes by the ton and they would receive nearly the same price regardless of whether or not they practiced ‘green’ harvesting. In this case, quantity trumps quality. When you started your vineyard there was no concept of ‘sustainable’ viticulture, although ‘organic’ and Biodynamic agriculture was already being practiced in some places. Was there a point at which you and Alex decided to move towards sustainable viniculture, and if so, how did you go about it? “Ecology was very much a part of the vocabulary when we planted our vineyard, and we had stayed at an organic farm some years before. 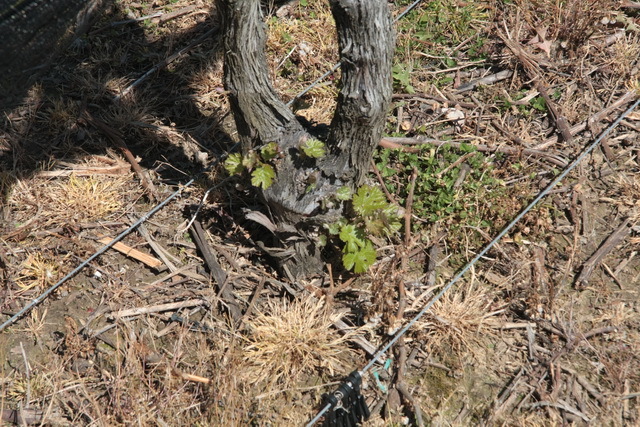 Still, it was fungicides that made it possible for us to plant V. vinifera vines in our vineyard. Historically, those who had attempted to grow these European wine grapes had failed because they had no tools to combat the fungi and other pests indigenous to North America. We recognized that techniques like grafting and amendments like copper sulfate and other fungicides developed after 1870 now made it possible to successfully grow these plants that previously had not survived here. We also perceived that cold-sensitive vinifera might survive on the North Fork of Long Island, due to the moderating effects of the Gulf Stream and Peconic Bay, when they had failed to survive in the more continental climates of other parts of the east coast. “We even planted some Pinot Noir and Sauvignon Blanc on their own roots, because the sandy soils of Long Island made it difficult for root pests (like Phylloxera) to establish themselves. Nevertheless, we really didn’t want to use sprays except to the extent necessary. Although we did use herbicides at times, when weeds became excessive, we always tried to control them mechanically (which usually meant hand-hoeing and weed pulling in areas that the side-hoe on the tractor could not reach). Late sprays before harvest can affect fermentation, so we did not use fungicides after mid-August. The fact of the matter is that wrestling wine to the ground is very, very complex. “We embraced the estate approach from the very beginning—in other words, our wines would be made only from the grapes that came from our vineyard, as is the case with Bordeaux chateau. In later years, we did purchase some fruit for our second label, Chardonette, in order to be able to offer a less-expensive, entry-level wine. “Our wines were made with no residual sugars; malolactic fermentation was complete in all our wines, and we applied minimum sulfites—none at crush time—because we did not want to destroy the indigenous microflora. The natural acid in wine, at a pH lower than 4.0, makes it impossible for bacteria harmful to people to survive, but some sulfites were needed during aging to protect the wines from yeast or bacteria that harm wine by creating vinegar or off-odors, especially after the malolactic fermentation, when the pH would rise to a less protective level, as high as 3.7 in Pinot Noir especially. “I am interested in biodynamic techniques but have never practiced them. There are pros and cons to every agricultural practice. Recently, I visited a biodynamically-farmed vineyard in Champagne that was using horses to work the fields. The idea was to avoid the hardpan that can develop after running a tractor over the vineyards many times and compacting the soil, as the hardpan that results is virtually impenetrable and can harm the nourishment of the vines. However, the vintner who showed me the horses commented that, while using horses was good for the soil, it was not good for the horses—the soils were so dry that the horse could go lame. That, then, is not really a good option for sustainability. Looking back on how you went about establishing Hargrave Vineyards in 1973, how would you start up differently as a pioneer, given what you know now? For example, would you plant Pinot Noir again, or something else? What about preparation of the soil? Louisa further remarked that, “although growing and making wine from Pinot Noir proved to be most challenging, I would do it again. I learned more from my efforts to ripen this “heartbreak grape” and to tame its hard tannins than from any other variety. 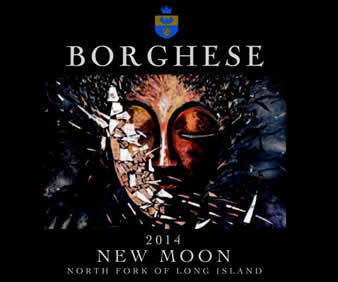 Success with it is not assured, but when it comes, it makes extraordinarily wonderful wine on Long Island. Do you think that the Cornell VineBalance program has made a real difference in the vinicultural practices in LI? It doesn’t have many actual members—about six, I believe. With that remark, Louisa speaks in a way that is characteristic of her and her deep commitment not only to growing wine, but sustaining agriculture. The East End is a beautiful area, and the North Fork still retains a quality of the bucolic and rural thanks to its working farms and vineyards. The Hargraves sold development rights to their vineyard to the Suffolk County Land Trust years ago. That is also part of her commitment. Long Island owes her many thanks for all that she’s done and continues to do. This entry was posted in Vinification, Viticulture, Wineries and tagged Alex Hargrave, Alice Wise, Bedell Cellars, Biodynamic Viticulture, Channing Daughters Winery, Chardonette, Compost Tea, Cornell University Agricultural Extension, DEC, Department of Environmental Conservation, East End of Long Island, Hargrave Vineyard, Horses in Viticulture, Kareem Massoud, Lenz Winery, Long Island Vineyards, Louisa Hargrave, Louisa Thomas Hargrave, McCall Vineyard, Organic Viticulture, Paumanok Vineyards, Peconic Bay Winery, Pellegrini Vineyard, Sam McCullough, Suffolk County Land Trust, Sustainable Viticulture, The Old Field Vineyards, The Vineyard: The Pleasures and Perils of Creating an American Family Winery, VineBalance, Vineyard terroir, Vinglorious, Viticulture, Winewise LLC on 24 June 2011 by JoseM-L. 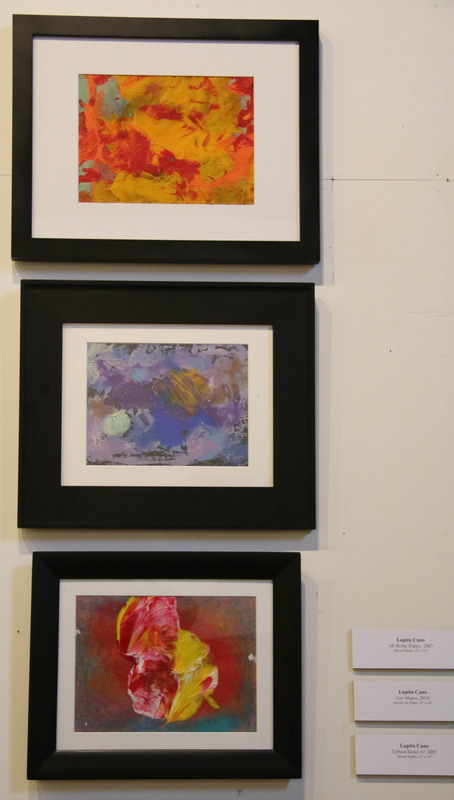 Upon arriving at the vineyard, which is just off the main road going through Southold, the old barns and house give little clue as to where to go, and there may be no one there to greet you. Still, you approach the likeliest suspect, a low, long barn which, it turns out, has a sign reading “Tasting Room” near a kind of logo confected out of a ring of old wine corks encircling a painted tin rooster that hangs on the barn siding. Still no one there and the tasting room was closed, because everyone is out in the fields pruning, removing vine suckers, or spraying the vines. This is a very small family operation, and the day I arrive, by appointment for the interview, there is too much to be done to have someone greet me upon arrival. It is, after all, mid-May, early for visitors but timely for the vineyard. I phone Perry Weiss, the winemaker, on her cell and she arrives shortly from the vineyard. She is direct, engaging, and very polite, the while giving me all the time I need to conduct my interview with her. When done, she takes me into the fields to meet her mother, Rosamond Phelps Baiz, the vineyard manager, who is removing any suckers growing from the base of the vines with a gloved hand, nearly caressing each vine as she rubs the base in a careful but swift motion. Then we go to the house, where I meet her father, Christian Baiz, the vineyard factotum, who is briefly on a break from spraying the vines to refill the machine. 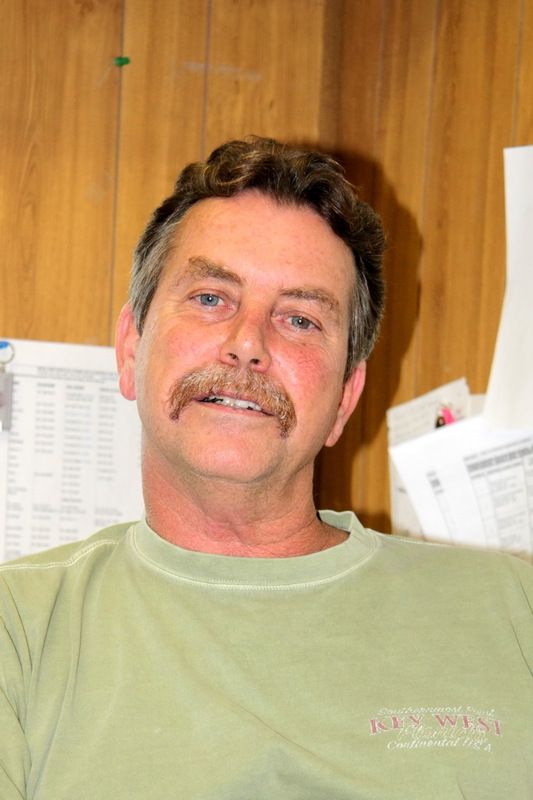 In fact, Perry has taken over the duties of winemaker from Ros, who replaced Perry in the vineyard. The truth of the matter in an operation so small is that everyone has to pitch in everywhere, so all three of them are jacks-of-all-trades. This is wine-growing and wine-making writ small—a true family operation that is not sustained by deep pockets but rather by passion, enthusiasm, and caring about what they do. It came into existence as a vineyard because the property has been in family hands since 1919. The first vineyard was established in 1974 by Chris using cuttings of Chardonnay, Sauvignon Blanc, Semillon, Cabernet Sauvignon and Pinot Noir that they bought from Alex and Louisa Hargrave, who had themselves just started up their own vineyard the year before—the very first one on Long Island. 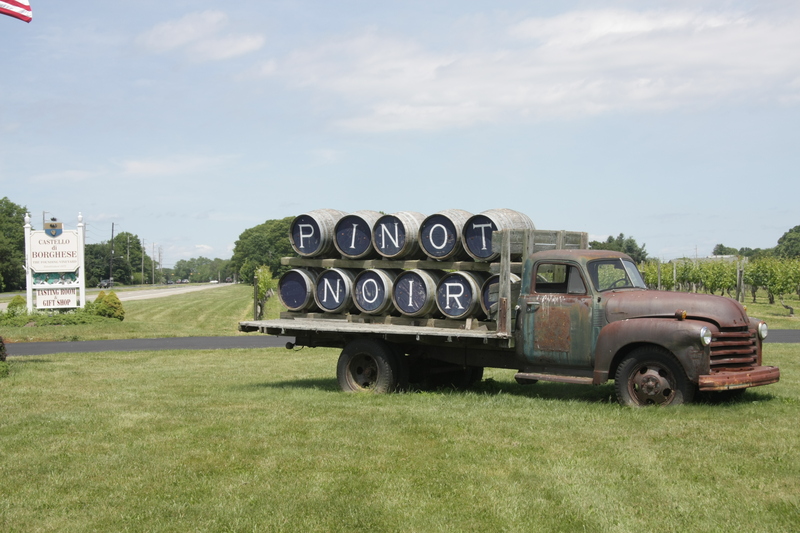 More Pinot Noir vines were added in 1985, and then Merlot and Cabernet Franc in 1997, just after Chris and Ros purchased the property from his family. They had to pull up the Chardonnay when it became clear that it wasn’t doing well at the site. In all they’ve now planted a total of twelve-and-a-half acres to vines, which produce about a thousand cases of wine every year. At the time they acquired The Old Field, they were living in Bronxville, just north of New York City, and decided to make a go of running a vineyard and so moved permanently to Southold and the farm. Like the Hargraves when they started, the Baiz family had little notion of how to run a vineyard and make wine, but they were determined not only to succeed in the vineyard but to make quality wine as well. Also like their predecessors, they didn’t start with a large amount of capital. Unlike them, however, they had the experience and knowledge of the Hargraves themselves to draw upon, as well as of other wineries and vineyards that had gone into business before they did, such as Bedell Cellars, Lenz Winery, Peconic Bay, and others. Still, Ros had never driven a tractor, for example, and much had to be learned from scratch. Now, they work as a team, though the one hired hand they’d once relied on was no longer available, as he was denied a visa to return to the US to work in the vineyard, though son Ryan does join in the work when he visits. Working over twelve acres means nearly 12,000 vines that need to be tended, which is a great deal of work to be done manually. There are six contiguous plots, including Sauvignon Blanc, Merlot, Cabernet Franc, and Pinot Noir. Recently they also planted 250 vines of Sauvignon Blanc by the Bay to see how that will do. For now, lacking significant wine-making capabilities, they make wine from their own grapes at the winery at Lenz Vineyards, where Perry works with master winemaker Eric Fry to create varietals with their own distinctive signature of the Old Field. Unlike most other vineyards on the Island, The Old Field has had no need to adjust the acidity of the soil, for the site was—before English settlers purchased the land over 370 years ago—occupied for perhaps 500 years by a large Corchaug Indian village of about 170 huts. The inhabitants evidently fished and harvested tons of shellfish every year (the field is right on Southold Bay). The shells were cast in the field and over the years became part of the soil, making it rich in calcium and keeping the pH high at 6.8-7.1. The vineyard also enjoys a high water table, so there is little need to irrigate, except for very new plantings. This alone makes for a unique terroir. In this bucolic setting there is a pond which is a source for frogs and insects, including dragonflies that are natural insect predators. The space between the rows has cover crops of grasses and legumes, including clover and fescue, which also encourage a diversity of insects. They have a wild-flower patch as well, which also promotes the presence of ‘good’ insects in the vineyard. And then there are the red-tailed hawks, the great horned owls, and always the chickens. Here, IPM seems to take care of itself. Old Field Vineyard is an enthusiastic participant in the Cornell University VineBalance Program, and do not mind that they are regularly checked on to ensure that they are in compliance, which is what is required of those vineyards that participate in the program. They do not, however, at least at this time, think of converting the property to organic farming, though they will use organic viticulture where it is practicable for them. One of the reasons that the Baiz family purchased the property in 1996 was to keep it from being developed. The one thing that they will not do is sell the development rights to the fields as some other vineyards have done. There is a problem with that, after all, insofar as land values have risen exponentially to the point that an acre of land can cost over $100,000 while the rights can fetch a few tens of thousands at best—in other words, they cannot afford to, though in principle they are in favor of a Land Trust. 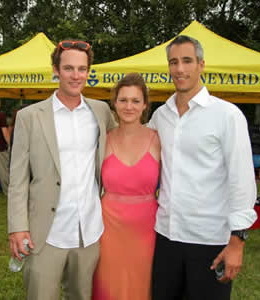 Thus, this fifth-generation family on the Old Field is working to sustain the what is the second Long Island vineyard and its land for more generations to come, practicing sustainability, hand-harvesting their fruit, and producing wines red and white wines, including an unusual white that is made from Pinot Noir, two Chardonnays, a Cabernet Franc, and two Merlots, not to speak of a Blanc de Noir sparkler that had earned 90 points from the Wine Spectator. It begins in the vineyard, along with a great deal of sweat. For those who wish to see just what’s involved in farming sustainably, The Old Field Vineyards offers a Sustainable Agriculture Tour on Saturdays at 11:30am, as well as a Sustainable Agriculture Tour with Tasting and lunch on selected Saturdays. This entry was posted in Vineyards, Viticulture, Wineries and tagged Acidic Soil, Alex Hargrave, Christian Baiz, Cornell University Agricultural Extension, East End of Long Island, Eric Fry, Hargrave Vineyard, Lenz Winery, Long Island AVA, Long Island Vineyards, Long Island Wineries, Louisa Hargrave, North Fork AVA, North Fork Wineries, Old Field Vineyards, Organic Viticulture, Perry Weiss, Rosamund Baiz, Ryan Weiss, Southold, Sustainable Viticulture, Terroir, The Old Field, VineBalance, Vineyard terroir on 7 June 2011 by JoseM-L.